How can you not love Thanksgiving? You know what, we're just going to stop here because two new cookbooks have arrived just in time for the big day of feasting and giving thanks for doing so. We here at the Homeskillet are big fans of both cookbooks along with the chefs/authors as well. 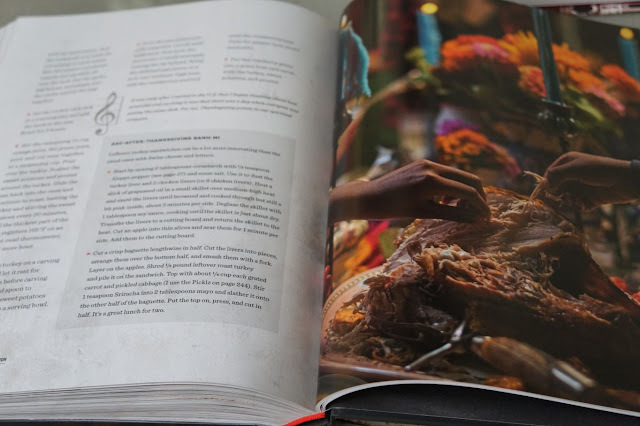 The always engaging Marcus Samuelsson has finally given us a full rendition of what goes on in his Harlem restaurant Red Rooster and Anthony Bourdain breaks down his favorite recipes from all of his travels and time honored traditions in his first actual cookbook. Plus Xmas is arriving quicker than you think so both of these food tomes would make an awesome gift for that fussy "foodie" home cook buddy of yours. Both of these books are unpretentious, a bit artsy but most importantly jammed with all sorts of fun ideas and innovative recipes. 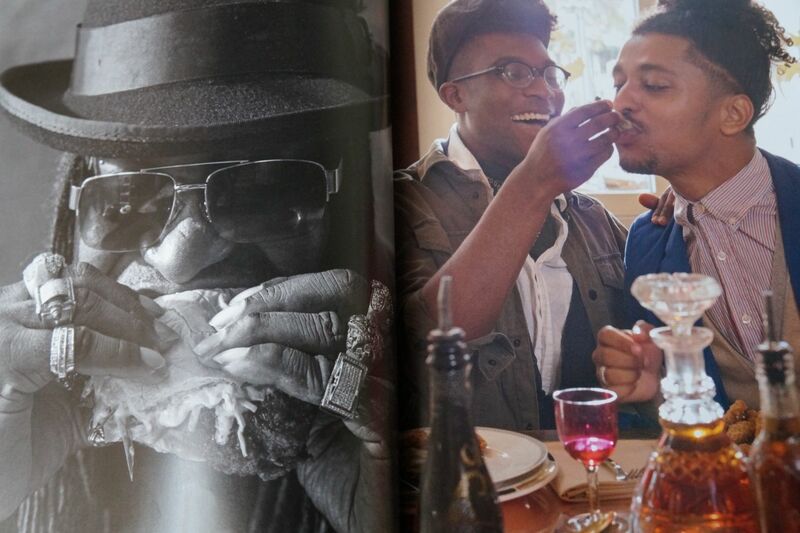 "Red Rooster : The Cookbook"
We have been a huge fan of Marcus' for a long time now. 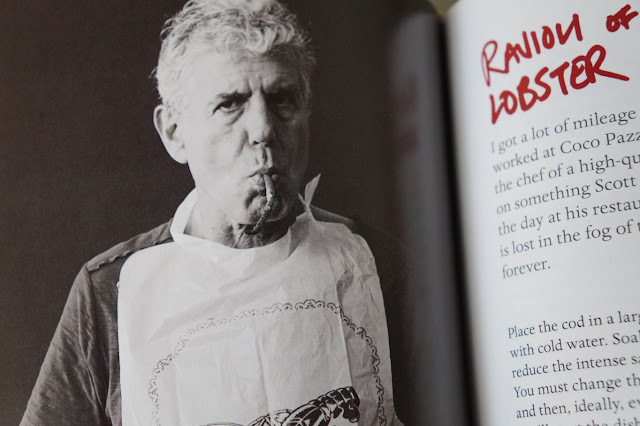 It wasn't only his incredible rise to culinary power, but after reading his memoir, Yes, Chef, we kind of fell in love with him. Lots of longtime Harlem residents have both praised and chastised Samuelsson for bringing his concept to a neighborhood that, at one time, was thought to be quite, um..."dubious". Now it seems because of Red Rooster and its upscale jazzy approach to soul food, it and he have invited other like minded chefs and business owners to join them. Some residents love that their neighborhood has gotten a well deserved face lift while others find it has become gentrified and with the new digs a new rent hike has come into place. Whatever the case may be, Marcus Samuelsson can cook and by the character of his other works, the man can really write too. 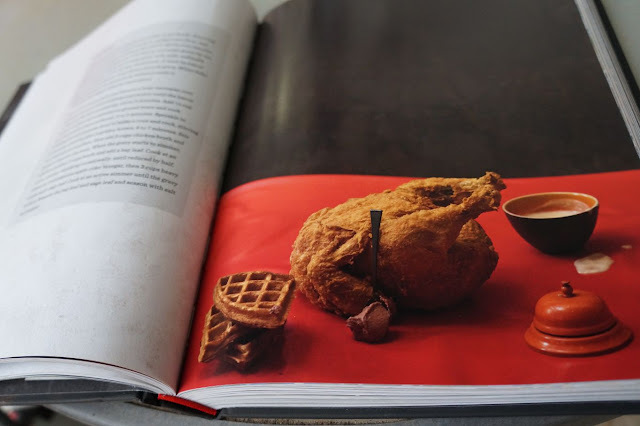 Red Rooster is a departure from his other cookbooks, Marcus Off Duty or The Soul of a New Cuisine, which are more straight ahead cookbooks, where Red Rooster features more of the community that help build, inspire and support his iconic restaurant. The pictures are stunning, creating an air of musicality and swingtime style which go great along with the eclectic and savory recipes. The book goes from some suggestions of the ingredients you will need to make a successful dish, advice on how to stock your pantry, tools you will want in the kitchen and a whole laundry list of tips, techniques and even music playlists to get you moving and cooking. Red Rooster is very new Harlem and very Samuelsson which makes this one of our new favorite cookbooks of 2016. As far as Thanksgiving is concerned you can find a slew, a slew!, of inspiration to make a memorable meal this year. And next year too if you like. Whatever man. It's your cookbook...do with it what you will. We really like his "Bird Broth" recipe that infused white miso and jalapeno on a down home take on traditional ramen. There are also a ton of chicken recipes, such as hot wings and chicken and waffles, along with lamb and all sorts of fun ideas for a delicious yet uncommon family dinner. His herb roasted turkey with cranberry gravy is delectable and smart. Using parts garam masala, lavender, ruby port and even prune juice, this one will surely turn heads as grandma pipes up "But this isn't the turkey I used to make!" followed by everyone rolling their eyes and sighing in relief. And after the holiday has come to pass and you still have half a bird leftover, his recipe for a Thanksgiving banh mi is really fun. This time we use the livers and he walks you through a simple process of dusting the offal, deglazing your skillet and assembling the sandwich. It's pretty simple and a great way to use some parts you normally might throw away. Now we are not a huge fan of livers but this take changed our minds. Or if you wanna cook short ribs for Thanksgiving he provides the recipe for the ones he made for the Obamas for their first inauguration. Using plum sauce, some horseradish and a few herbs, this one just feels, and tastes, like eight years of awesome. We plan on making these when whats his name takes office in January. We plan on fighting the power with the strength of good food. At least they can't take that away from us. 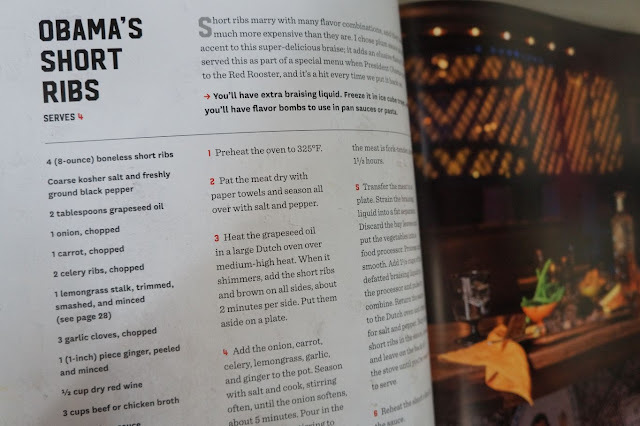 Included in Red Rooster are playful cocktail recipes, delicious side dish options, appetizers and desserts. Sure, you'd expect all that from a normal cookbook, but what makes this one so special is the man behind your mouth watering. 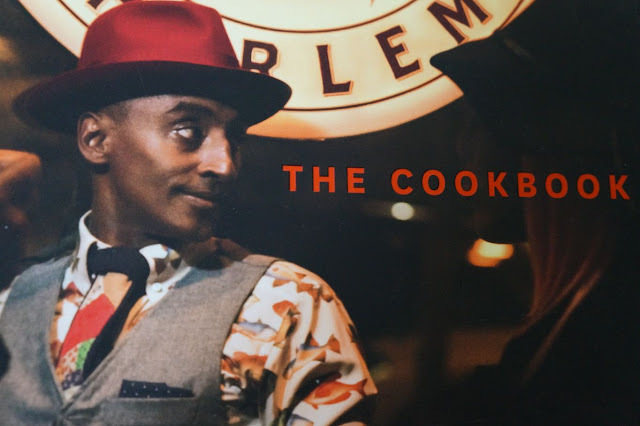 Marcus Samuelsson was born in Africa, raised in Sweden, trained abroad and now calls New York his home. The influences from his life come alive on these pages and it makes you want to don a sharp suit, pick up a saxophone and blow soulfully into the night knowing that at the end of the jam session some blackened catfish, peanut bacon pork chops, curried goat stew and a strong house cocktail made with homemade ginger beer and black rum waits for you. This book is vibrant, it is essential and best of all it has stories to tell. You have to think; Marcus is a writer at heart. His memoir was so well done that it took our basic fandom to a new level of respect after reading it. 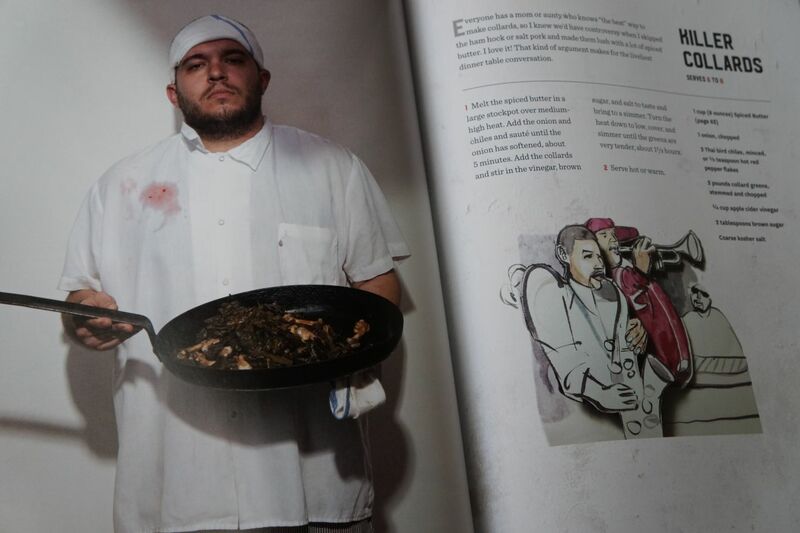 Heartbreaking and captivating, Yes, Chef should be in the library of any food fan or cook. There are so many narratives in Red Rooster that you almost feel as if you own a novel with a bunch of pictures in it rather than an elegant street smart book filled with innovative, sumptuous while at the same time hands on recipes to bring your family, and community, together. This Thanksgiving do everyone you are cooking for a favor by picking up a copy of Red Rooster and see how many smiles you can muster up by giving them something new to both eat and think about. Or give it as a Xmas gift. Either way. Now you all know Anthony Bourdain right? Yeah, of course you do. He's like super famous now. You've seen him on the TV on such shows as No Reservations, The Layover, Parts Unknown and various appearances on chef competitions and the like. He has traveled all over the world, probably several times over by now, and has a taste for real and sometimes debatable street food. He likes to drink, he swears, he was a heroin addict, he's brash, he's funny and best of all the man can really frikkin' write. In some cases, and even according to him, Anthony Bourdain is a better writer than he was a chef and Bourdain was quite an accomplished chef so that's saying a lot. So it's really cool that he actually wrote a cookbook and, yes, just like the guy that wrote it, it is intriguing, amusing, sometimes scary but best of all totally entertaining. 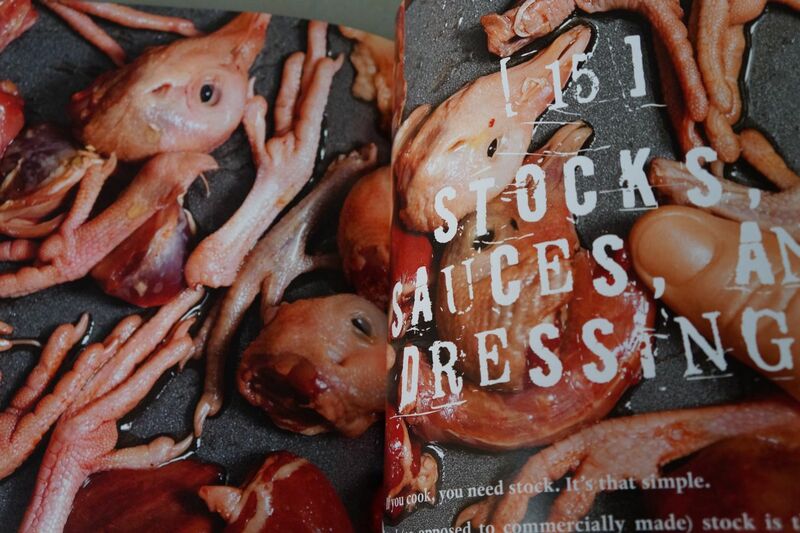 Basically if Anthony Bourdain is going to compose a cookbook, you know you can trust it. This is a man that puts up with very little bullpucky and it comes across on his shows, in his writing and most importantly his food. 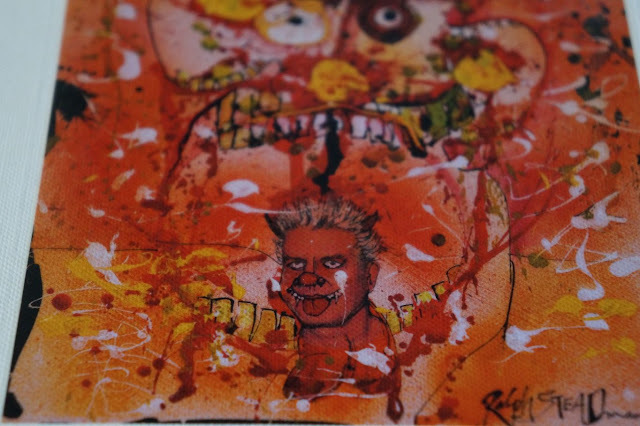 Appetites is just another reflection of what he has bestowed upon the globe as far as his take on food and eating is concerned. Its full of candid, slightly insolent photographs, some teetering on the grim and near pornographic. 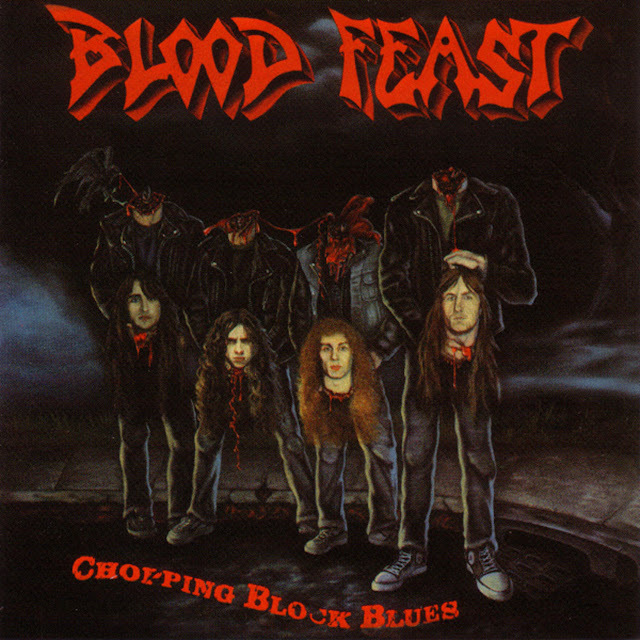 The colors are as raw as the subject matters; chicken pieces, whole boars heads, steamy piles of red noodles served in helmets, bloody jujitsu gear, stuff like that. Composed alongside these shots are recipes both fairly commonplace and extrinsic. You have wedge salads, Caesar salads even, deviled eggs, lasagne, sandwiches and so forth. But these are dishes that Bourdain deems worthy of writing about and putting his name on so you know the techniques and ingredients are not going to disappoint. Of course, just like Marcus Samuelsson, Appetites is filled with all kinds of well crafted stories and anecdotes, most filled with profanity and blunt observations. But you expect this from the man. This is why we love him. But we are not here just to blow smoke up Bourdain's bum, we want to talk turkey here. Thanksgiving turkey most importantly. This is why Appetites works on so many levels and can be added to this here blog post. 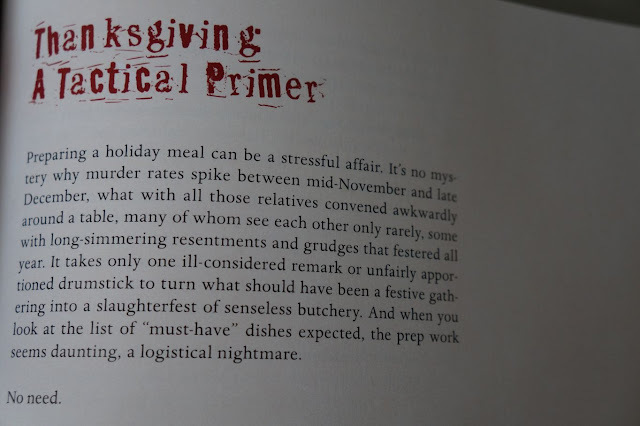 Bourdain has a whole section in his book totally dedicated to doing a Thanksgiving that will be not only tasty but relatively stress free. Bourdain breaks down what you need to do for a successful Thanksgiving in three days, all of which should start about a week before the actual event. Day 1 is buying all of the stuff you will need: vegetables, herbs, butter, oil, bread, seasonings, etc etc. And this is where things get awesome: He suggests buying two birds instead of just the one. Yes. He has one called the "stunt turkey", this is the smaller version that is on display for the family and can be used for sandwiches and stock later. Then there is the "business turkey" which is the actual turkey you will be serving. It's a bigger version of its stunt double and will already be sliced and dealt with when family arrives. 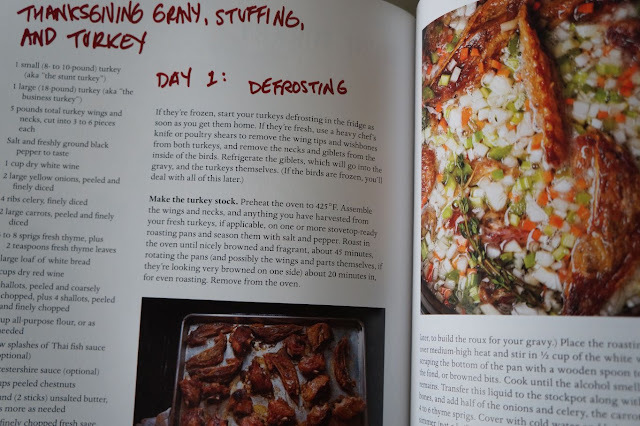 Day 2 is making stock into gravy, assembling and baking the stuffing, making his cranberry relish (whole orange, some cranberries and sugar...that's it) and putting it in the fridge and, of course, knocking out all of your side dish prep. This way when the third Thursday in November rolls around all you gotta do is keep everything warm, keep everyone happy and get into the Thanksgiving nog. Is there a Thanksgiving nog? We sure hope not. Day 3 is roasting the stunt turkey, finishing the side dishes, roasting and dismantling the business turkey, fixing the stuffing to your liking, making the stunt turkey look all pretty and displaying the business turkey in a delightful manner. 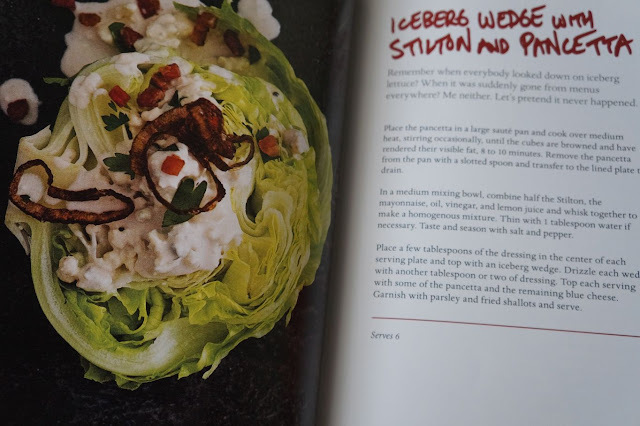 The side dish recipes are awesome: Robuchon (use a ricer) style mashed potatoes, creamed pearl onions, candied sweet potatoes and bacon-y Brussels sprouts. If you follow the simple rules that Bourdain lays out then your Thanksgiving should be fairly tension free. Unless uncle Jeb gets into the horse liquor again and starts chanting old Polynesian naughty limericks to the kids then you might have a problem there. Appetites as well as Red Rooster are simply fantastic cookbooks by simply fantastic chefs that can really write as well. We love both the chef's take on Thanksgiving, or at least components that could be construed as Thanksgiving, and it is up to you to find inspiration from both Samuelsson and Bourdain to make a memorable holiday feast. But as both authors say, its good to have have a razor sharp and heavy chef knife, always have a "mise en place" (everything in place) in your kitchen ready to go (salt, pepper, oils, spices, onions, garlic, etc) and always have some kind of music playing. This is important to keep the rhythm of the cooking and maneuvering around the kitchen like a schizophrenic ballet more enjoyable. 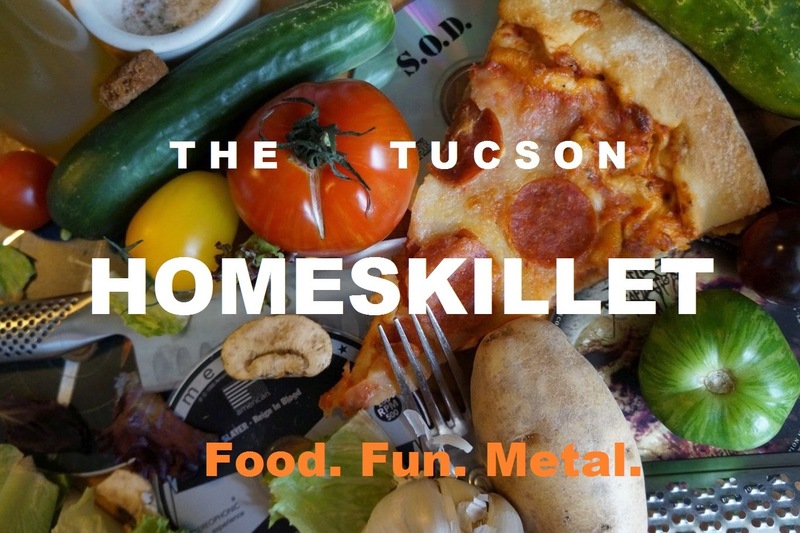 But is it safe to cook while listening to Thrash Metal? Love Bourdain myself... great reviews!